For example, when people with dementia learn new information while limiting their opportunity to make memory errors, they sometimes recall information better than they do through trial and error – an approach known as errorless learning (Haslam et al 2011). Another technique that has been successfully used to support learning in people with dementia is known as spaced retrieval. The simple principle underlying this technique is that when the time interval between the learning and subsequent recalling of information is very short (eg 30 seconds), and increases systematically in fixed increments of time, there is a greater chance that information will create a stronger trace in the person’s long-term memory store. Using spaced retrieval, we and others have demonstrated that people with mild dementia recalled face-name associations for up to nine months (Clare et al 1999; Clare et al 2003b). 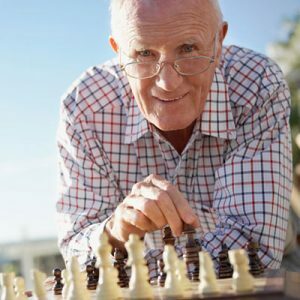 Importantly, individuals with dementia respond differently to various evidence-based techniques, and a CR therapist will assist the person with dementia and their family identify the technique(s) that are most helpful for the individual in question. Although much of the work on CR to date has been carried out on people with mild Alzheimer’s disease (AD) dementia or mixed AD and vascular-type dementia, principles of CR have also been applied in intervention studies targeting people with other forms of dementia, including semantic dementia (e.g., Savage et al 2013), and work is currently under way with people with Parkinson’s disease (Hindle et al 2016).